Boy did my state of NC get hit hard by Hurricane Florence just over a week ago!! It was supposed to travel straight through the state and pass over us here in Raleigh, but it took a turn South instead. But that still left us with wind and days and days of rain!! The kids were out of school for 3 days, so many people were affected by flooding and power losses. We were lucky enough to have been spared by all that, but I know those on our Eastern coast are still recovering. 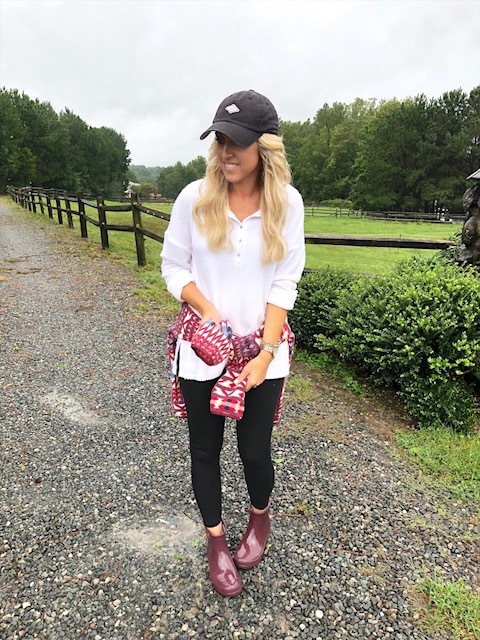 Thank heavens for these Sperry rain booties from The Great Outdoor Provision Company in Cameron Village getting me through all those rainy days. I actually have 2 pairs of rubber rain boots that I wear constantly in the Fall/Winter. 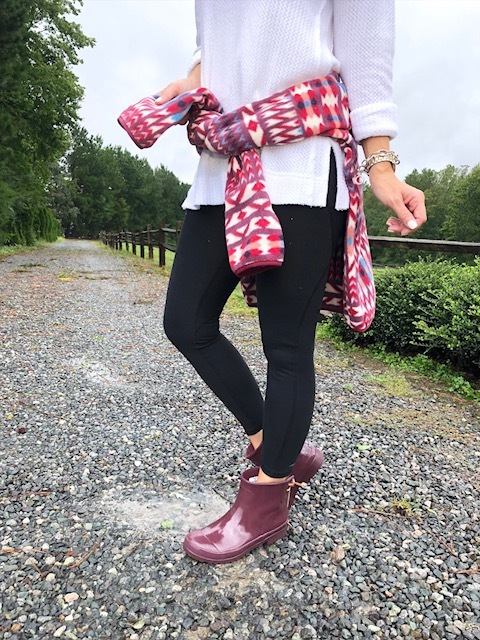 They are perfect for rainy days and any snow and slush (not that we get much of that here in NC). The ones I have are the tall style, that come up to my knees. I love them most of the time, but they can get heavy and bulky to wear. So I was super excited to find these adorable Sperry rain booties at The Great Outdoor Provision Co.!! And actually after wearing this bootie style, I think I prefer it over the tall rain boot style! So much easier to wear and I think they'll look adorable with jeans and a cozy sweater too! Did you notice the cute lace-up tie on the back?! In the store, they also have olive green, but I just love this berry color!! The Great Outdoor Provision Co actually has a huge selection of all types of boots/booties. 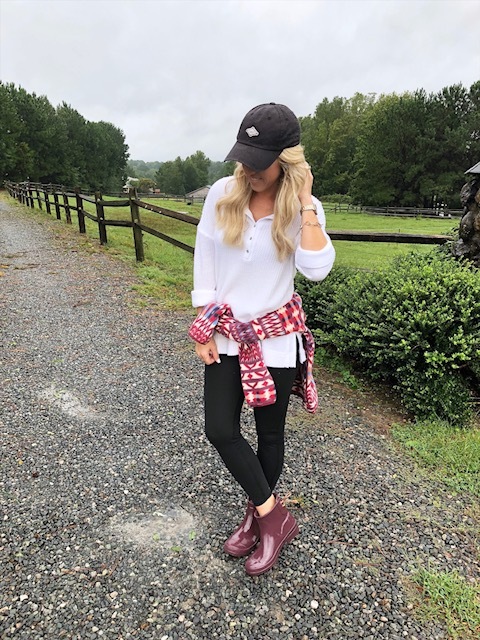 From rain boots to hiking boots to everyday casual boots. Definitely worth checking out if you're in the market for some new boots this Fall/Winter. While there, you'll see a HUGE selection of women's clothing!! 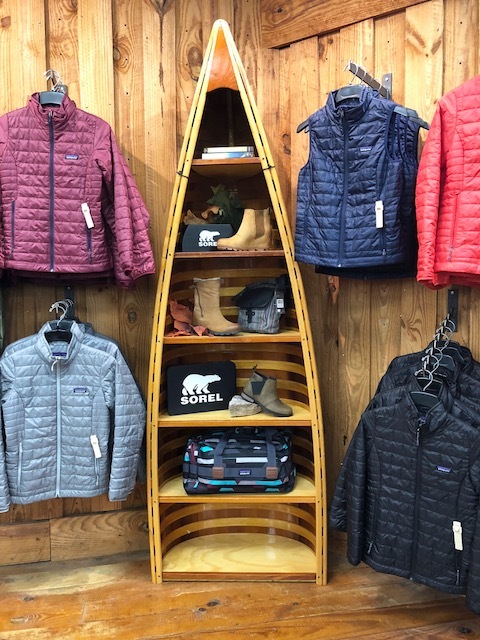 Probably the best selection I've seen of outdoor brands like Patagonia and North Face. 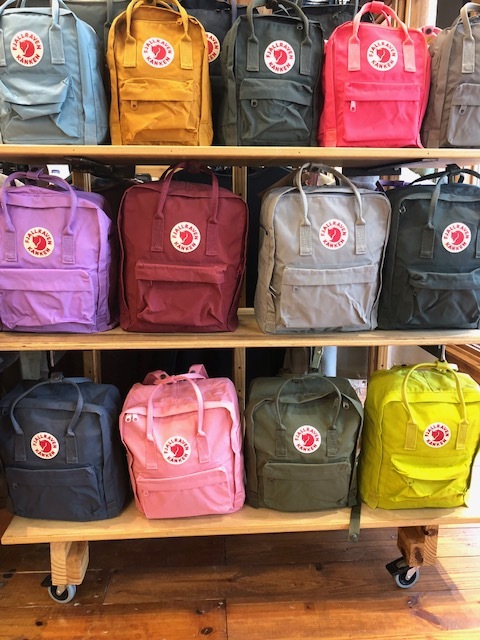 They also are one of the few stores to carry the brand Stio. I saw this printed Patagonia fleece I'm wearing and fell in love!! The colors are so fun and bright, especially for a rainy, gloomy day!! Because it's still hot here, I just tied it around my waist. But it'll be perfect for keeping me warm once the temps drop!! Thank you to Cameron Village and The Great Outdoor Provision Co. for sponsoring this post.